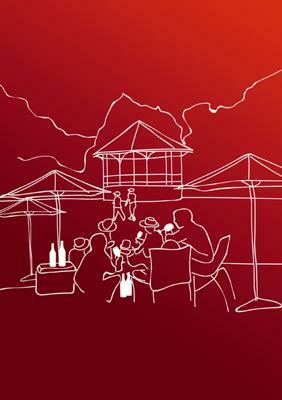 The Winegrowers of Bendigo and District hold their vintage festival on Easter Sunday each year in the magnificent Castlemaine Botanical Gardens. This year April 12 is Easter Sunday. With over thirty local winegrowers in attendance, this is your opportunity to sample and cellar the best wines the district has to offer. There will be some food and wine products for display as well as music. You will find my friend Katherine from plonk art selling her T shirts and other wares from Plonk Art. Take a chair or a picnic rug and find a shady tree, this is one of the friendliest festivals on the calendar - the wines are excellent as well. Free buses will be running from Bendigo to Castlemaine Botanical Gardens, or if you are coming up from Melbourne, why not come take the train. The Gardens are very close to the historic Castlemaine station. Join in and write your own page! It's easy to do. How? Simply click here to return to Bendigo.